There is hardly a better representative of medieval poetry than Walther von der Vogelweide. He is considered one of the most important Minnes�nger and Sangspruch (sung speech) poets of the Middle Ages. 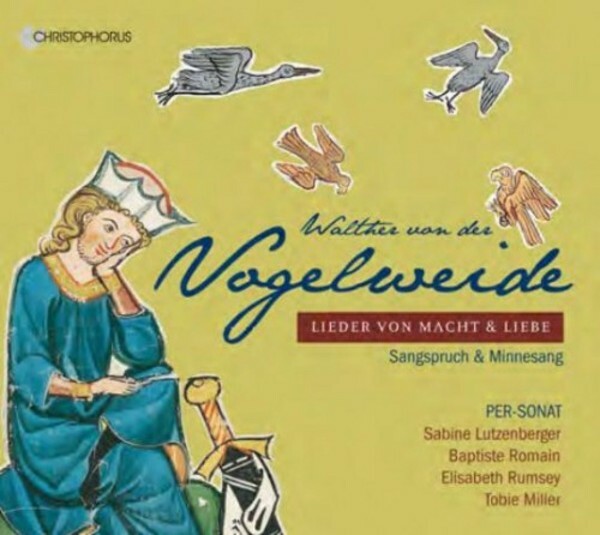 Sabine Lutzenberger and the ensemble Per-Sonat have underlaid some of Walther's poems with his own "T�nen" (= melodies), others with music of his contemporaries, completing fragments and reproducing several melodies in the style of the period. Sangspruch, one of most important handed-down traditions together with the Minnesang, functions here as the link between history and living performance practice. The sources extend from the 13th century to the Meistersang. Listeners can now experience Walther's magnificent poetry sung for the first time on this CD.